What is the difference between a pergola and a roof? 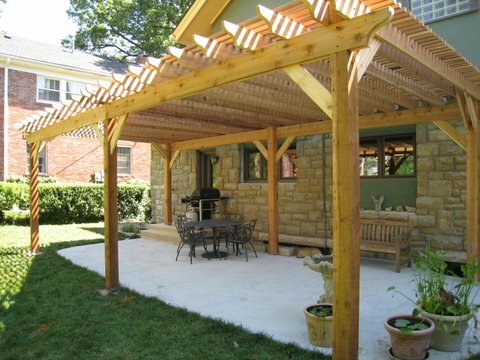 Many people think of a pergola as a roofed structure. 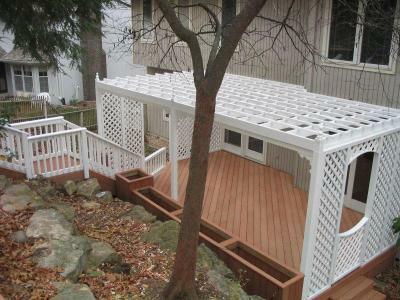 At least as it relates to building codes, a pergola is almost always not considered a roof. This is because a roof, by it’s nature, prevents water and other elements from passing through it. By design, water and elements pass through a pergola to a varying degree. It’s important to think about building codes and restrictions as well as HOA restrictions when deciding on an outdoor structure for your backyard. In addition, although not a roofed structure, a pergola can add limited protection from other elements such as items falling from your trees such as leaves, pine cones and such. 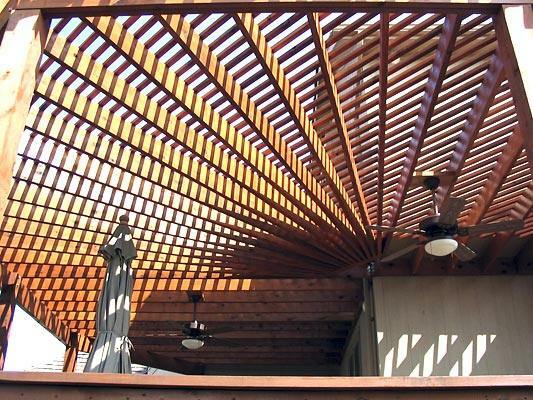 And, your pergola will also provide a limited amount of wind protection – again depending on the design. In order to determine if a pergola is the right structure for you and what type of pergola to design, you really always want to go back to the most basic questions. These are the considerations you need to really think about before ever deciding or even considering what to build in your back yard. It’s so easy to see a beautiful structure in the neighborhood or in a magazine and think of how well that would complement your house or how beautiful that would look. But you want your custom outdoor space to be designed for living. Aesthetics are definitely important but how you live out back is the most important consideration. These owners wanted some protection for their hot tub spa. 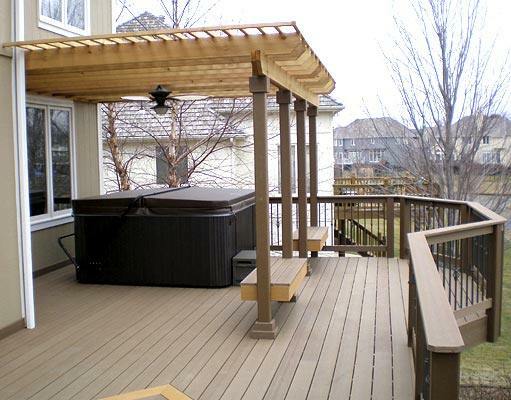 Notice how the pergola allows them to put a ceiling fan over their spa for circulation. How much shade do you want? Do you want weather protection? Do you want wind protection? If you have a decided that a pergola is the right structure for you, then there are a lot of choices again both aesthetically as well as functionally. From a functional standpoint, decide how much light you are looking for and at what times of the day do you want to have light pass through. Are you considering building a pergola purely for its aesthetic value like a pergola at the end of a long pool? Are you thinking about hanging things from your pergola such as plants? This entry was posted in Pergolas and tagged Archadeck of Kansas City, Deck contractor Kansas City, Kansas City pergola, Kansas City pergola builder, Pergola builder Kansas City, pergola Kansas City on May 18, 2011 by archadeckkansascity.